Play Frank Casino is owned and operated by Trusted Media International NV that also operates Florijn Casino. Play Frank is a newly established casino that was established in 2015 and offers a wide range of games from various gaming providers that include NetEnt, NYX Gaming, Endorphina, BetSoft, iSoftBet, GamesOS, and Evolution Gaming. The casino offers more than 300 casino games and most of its games come from NetEnt. Players can enjoy playing a variety of NetEnt Touch games via mobile with no download necessary. All new players are welcomed with an attractive bonus of up to €350 plus free spins. The casino offers a customer service that is satisfactory and supports only English and Germany. 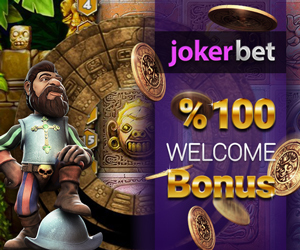 – Offers a variety of NetEnt progressive jackpots such as Mega Fortune, Hall of God’s and Arabian Nights. The casino offers a lucrative software that is powered by multi-gaming providers that include NetEnt, NYX Gaming, Endorphina, BetSoft, iSoftBet, GamesOS, and Evolution Gaming. All games are available as direct play online via both desktop and mobile. Most of its games are developed in HTML5 making it possible for players to access the games and play directly online via mobile or PC without having to download the application. For mobile players, simply access the casino via your mobile web browser and start playing the games either for fun or real money directly online. Its mobile platform supports iOS and Android devices and the majority of games offered are NetEnt Touch games. Mobile players can also enjoy playing a popular NetEnt network pooled jackpot game known as Mega Fortune. The interface is user-friendly and the games have been categorized for easy navigation. The games are categorized as “New”, “Slots”, “Roulette Games”, “Blackjack”, “Poker Games”, “Card Games”, “Live Games”, “Jackpots” and “Other”. The games are constantly tested for fairness by iTech Labs, an independent testing lab. At Play Frank Casino, players can enjoy playing new titles that include Dracula, Double Bonus Slot, Event Horizon, Mega Glam Life, Dragon King, Stickers, Wolf Quest and many others. The progressive jackpots offered by the casino have a total prize pool of more than €9 million. Hall of Gods currently has the highest jackpot at €5.8 million followed by Arabian Nights that has a jackpot pegged at €2.3 million. The casino offers flexible payment options for both deposits and withdrawals. All cashouts are processed fast and usually takes not more than 24hrs to receive a cashout via all major ewallets supported by the casino. The payment options available include Visa, MasterCard, Skrill, Neteller, PaySafeCard, GiroPay, SoFort and Bancontact. Additional payment options will soon be added by the casino. All its monetary transactions are processed by Ned2Pay LTD. Players can make an max withdrawal of €10,000 per week . Its customer support is satisfactory and players can get in touch with support via email, live chat or phone. You can also make use of the FAQs that are available to help you get started. The languages supported are English and Germany. Credit Card, Debit Card, Visa, MasterCard, iDeal, Neteller, PaysafeCard, Skrill, SOFORT, Ukash, Mister Cash and Giropay. The same with deposit methods. American Samoa, France, Guam, Israel, Northern Mariana Islands, Spain, Turkey, UK, Malta, United States Minor Outlying Islands, United States of America and US Virgin Islands. NYX, NetEnt, Endorphina, BetSoft, iSoftBet, GamesOS and Evolution Gaming. By registering an account with Play Frank Casino, you will receive a welcome bonus of up to €100 on your first four deposits. The welcome bonus and free spins are applicable for mobile players too. All free spins awarded will be credited the next following day in your account at 13.00 CEST. Existing players will benefit from various promotions offered by the casino. The welcome bonus has a wagering requirement of 35x whilst all other additional bonuses have a wagering requirement of 40x.